If you’ve noticed a rumbling sound from your VW, it’s time to check, and possibly replace, your front wheel bearings. Here’s how to do it. Today we are going to tackle the relatively straightforward task of replacing a set of Beetle front wheel bearings. This feature will concentrate on Beetles built from 1968 onwards, but the principle is pretty much the same right across the VW model range. Note that we are dealing with a disc brake-equipped car here. Those of you running drum brake Bugs will still be able to follow this handy guide as, aside from adjusting your brake shoes, the job is very similar. 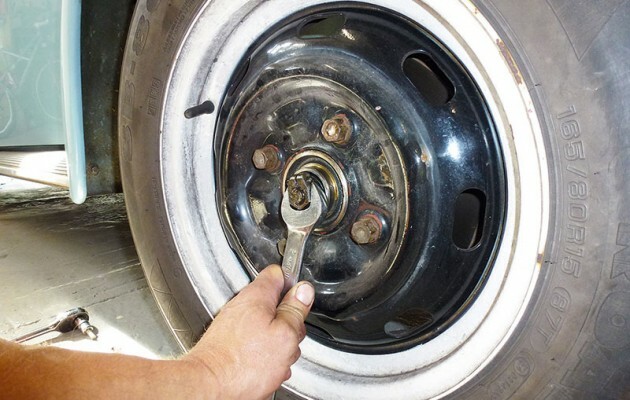 Wheel bearings, by and large, should be inspected at least every 12 months for wear and adequate lubrication. Given this maintenance schedule, and with normal road use, they can last as long as the vehicle. But run them dry for even just a few miles and they will destroy themselves in no time at all. 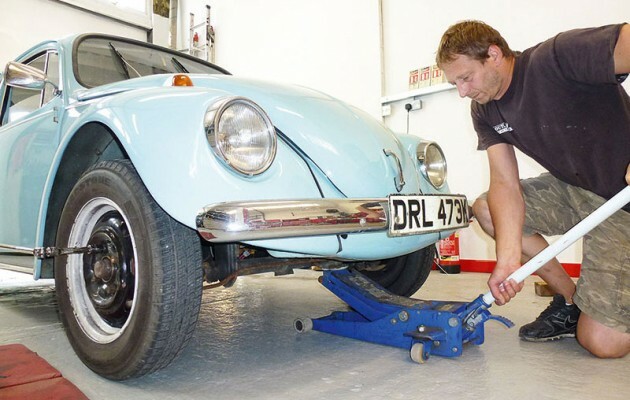 Beetles that have been standing outside for long periods of time may also have wheel bearing issues due to perished seals and water ingress, so we would always recommend checking them out before re-commissioning a vehicle. Strictly Aircooled your bug mechanic shop.